Herbs are quite simply useful plants. Their usefulness to people rests entirely on properties plants devised in the first place to be useful to themselves. A scent, for instance, may serve to repel insects or animals which might harm or eat the plant, or else may deliberately attract them to pick up and spread the plant’s pollen or seeds. The juice, flesh and seeds of the plant store up substances useful in the plant’s metabolism, and sometimes very different from the substances in another plant with different habits. So it is that people have used some herbs like rue and sage to repel insects, spreading them on the floors indoors to be crushed under foot and release their aromatic oils. Others are prized as perfumes and deodorants, worn personally or exposed in a pot pourri. Some are used in cooking to give flavour to food or to complement and add interest to its natural flavour. Many more, however, than all these put together, have been used since time immemorial as medicines. When an animal is feeling unwell its taste wanders from its usual food to include a number of plants it would not normally eat, and its taste for them will vary according to the animal’s particular malady. This is even apparent with domesticated animals whose food comes out of a tin! Even more surprisingly, it can sometimes be demonstrated that in the chosen herb there is some ingredient likely to have a healing influence on the disease. How can an animal do a clever thing like that, with no knowledge of chemistry? The answer is the same as for a small child allowed to feed himself from a range of natural foods — that the animal’s keen sense of taste has evolved alongside the plants around him and is able to recognise from their flavour whether they meet its present needs. Appetite varies with need: satisfying its appetite satisfies its need also. People are just the same, but rather out of practice. Chemicals have replaced and dulled the tastes and smells we used to trust, but the ancient knowledge gained when they were still keen is written down and readily available. Because of their kinship with our traditional food, plants provide our safest, gentlest and most natural remedies. Take them with respect for their traditional properties and only in modest amounts when you need them, and you are unlikely to come to any harm. 1. Get a good handbook of herbs for reference. Juliette de Baracli Levy’s ‘Illustrated Herbal Handbook’ is among the best and least expensive (Faber & Faber, 1982). 2. You can chew clean fresh sprigs of any herb you like the taste of, or are advised will help you. If it tastes awful do not persevere — your tastebuds are warning you off. 3. Learn to make a good herbal tea from sprigs of the fresh plant. Usually the youngest growing shoots are best, and you need a small handful. Chop them finely before pouring on water that has boiled but been allowed to cool a little: never let your tea boil. Cover and steep it for at least three minutes; many continue to improve the longer they are steeped. You need only about half the quantity of dried herb for the same strength brew: one rounded teaspoon is enough for a breakfast cupful. Be sure to discard dried herbs that are musty or more than one season old and replace them with fresh-smelling examples from the current harvest. 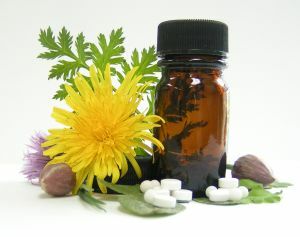 These preparations give you the benefit not only of the material substance ofthe plant but of its vital energy as well. There are other ways of doing this, but none are cheaper or easier than this. 4. Here are a few herbs that are safe to use in common complaints. Angelica: tea; in liver complaints. Chamomile: tea; to soothe your bowel or in nervous irritability. Comfrey: tea; cream or ointment, to quicken healing. Elderflower: tea; to calm your nerves. Lime: tea; to calm your nerves. Red Sage:tea; as a gargle for sore throat. Rue: tea; as a tonic eye bath. Lotion to wardoff head lice. Yellow Dock Root: tea; as a mineral tonic in anaemia. 5. For professional advice contact a medical herbalist. The National Institute of Medical Herbalists, Clover House, James Court, South Street, Exeter. EX1 1EE. Tel (01392) 426022, email- info@nimh.org.uk. www.nimh.org.uk will be able to tell you of a qualified practitioner near you.